You'll see another menu icon next to each amount. Click that, and select Refund. 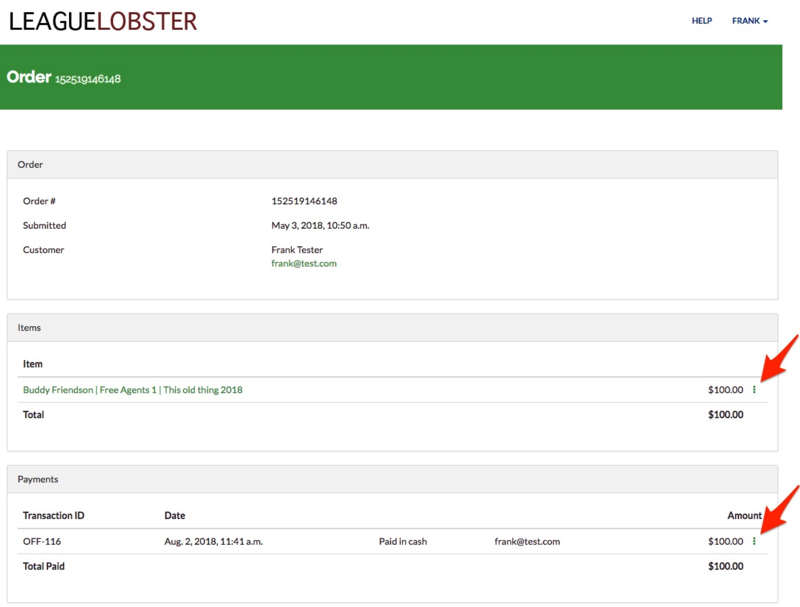 If there are multiple registrations on the same order and you want to refund the entire amount – make sure to refund the payment at the bottom instead of the individual items. Otherwise, the processing fees are not refundable, whereas if you refund the whole payment, all fees are also reversed. 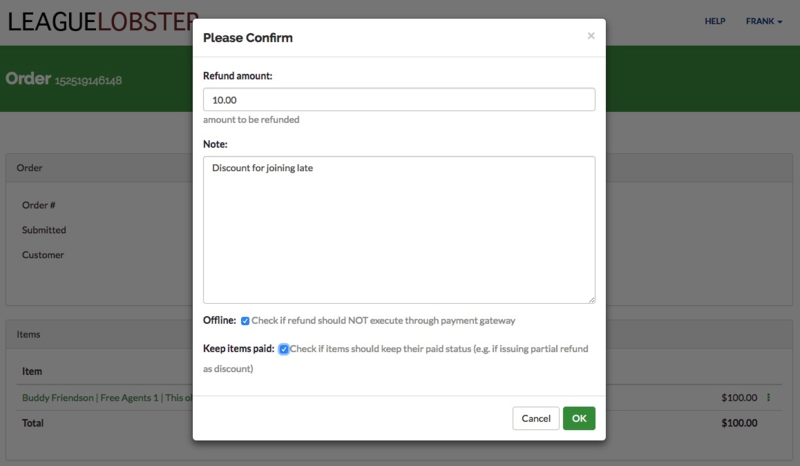 You can also select OFFLINE to simply record a refund given in cash or otherwise outside of our system. You can also select KEEP ITEMS PAID in order to record a refund that shouldn't change the paid status of the registration in question, e.g. if you're giving a discount. You could use this refund process to charge extra fees as well. After applying a discount you'll see a payment link at the top of the same Order page which you can send to your customer (you can also just send them the order page link itself and have them click the checkout link) to pay the 'remaining balance' – i.e. the difference between the order total and any payments less refunds. Likewise, you can apply discounts by recording an offline payment equal to the discount amount while the item is still in the user's cart. As always, let us know if you have any questions or issues.